Yoga can be beneficial for anyone. Most yoga programs are designed to help you improve your flexibility, muscular endurance, muscular strength and mental well-being. Due to its diverse nature, yoga can be organized to benefit any specific health-related goal you might have. 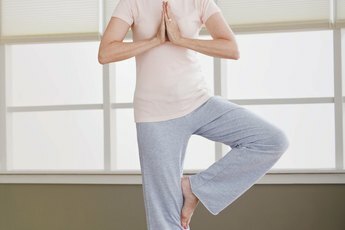 If you are short on time, focus on a few key yoga poses that are most beneficial. Yoga practice aims to develop safe, sequential and therapeutic physical skills that increase your strength and flexibility. 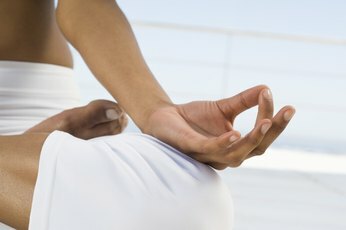 Relaxation/meditative techniques are integral to yoga. Although many types of yoga exist, strive to develop a program that helps you achieve your own goals -- which might involve relaxation, strengthening, flexibility or endurance. This full-body pose works on your latissimus dorsi, triceps, gluteus maximus, trapezius and hamstring muscles. Of all the yoga poses, this is the most beneficial one for the widest range of people. It helps you strengthen many of your muscles simultaneously and increases the flexibility of those muscles. With your hands on the ground and your posterior up in the air, you'll feel like "someone behind you is pulling your legs and hips backwards from the top of your upper legs," notes ABC of Yoga. These poses are especially important, as they can help you increase your flexibility in the chest and stomach region as well as strengthen your back. 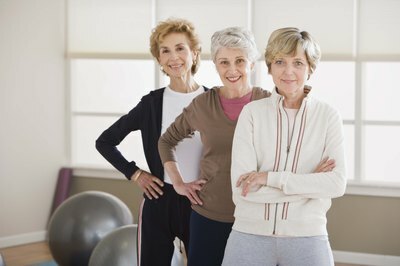 Also, they also help you improve overall core strength and muscular endurance. ABC of Yoga notes that the cobra pose can even help relieve menstrual irregularities and constipation. If you want to strengthen your lower body, the lunge is the perfect pose. It helps strengthen the muscles of your entire lower body and helps increase your muscular endurance. In additional to the traditional lunge move, yoga also includes a reclining lunge posture, which helps to stretch and strengthen the muscles in your legs. Misti Knight is a licensed athletic trainer based in Texas. She works in the sports medicine department at a children's hospital. Knight holds a Ph.D. in kinesiology. What Are Two Yoga Poses That Strengthen the Quadriceps?